White-tailed Deer fawns are born April through July, with the majority of fawns born in June. Most first-year does will have one fawn each year, but twins or triplets are typically seen thereafter. Until they are strong enough to keep up with their mothers, deer fawns are left alone while their mothers go off to feed. Mother deer will stay away from the fawns to avoid leading predators to their young. Does return at dawn and dusk to feed and/or move their young. Fawns are typically left in an area with tall grass or bushes, but sometimes they are left in more open areas, including backyards. Older deer fawn may wander short distances. Well-meaning humans often assume that because a fawn is alone it must be an orphan, leading to numerous fawn “kidnappings” each year. A fawn has the BEST chance of survival when cared for by its mother. Typically, the best option is to leave the fawn alone! 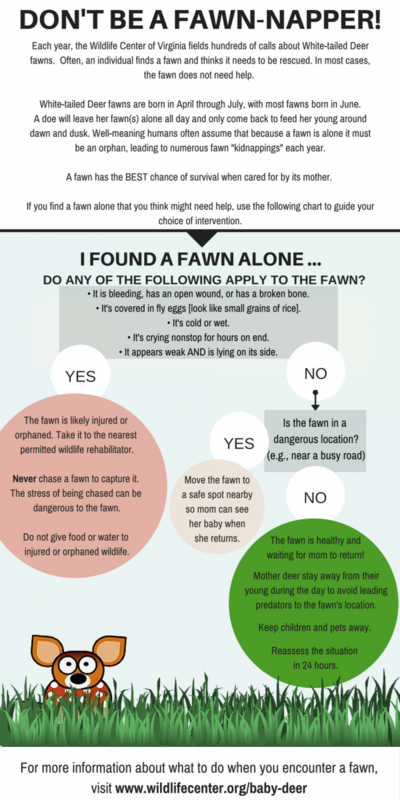 If you find a deer fawn that you think needs help, use the following chart to guide your choice of intervention. Do any of the following apply to the fawn? • It is bleeding, has an open wound, or has a broken bone. • It’s covered in fly eggs [look like small grains of rice]. • It’s cold or wet. • It’s crying nonstop for hours on end. • It appears weak AND is lying on its side. • If YES, the deer is likely injured or orphaned. Contact your nearest permitted wildlife rehabilitator or veterinarian for treatment. • If NO, then continue on to the next question. 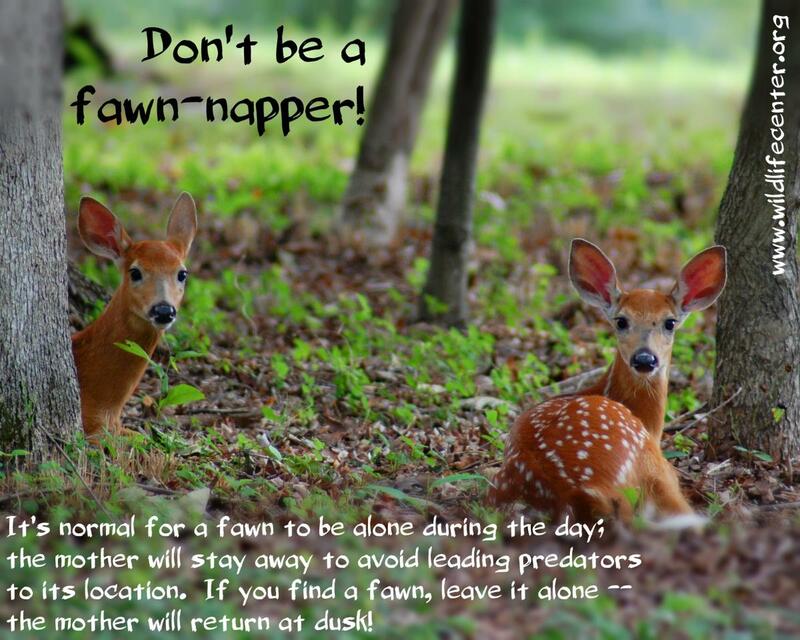 • If YES, the fawn can be moved a short distance to a safer location. When moving a fawn, it’s not unusual for the fawn to follow you as you leave. To prevent the fawn from following you, place the fawn facing away from the direction in which you plan to leave so it cannot watch you. Quickly leave the area. Do not linger. The fawn may stand up and take a few steps to follow. Keep going and the fawn should lie back down. If possible, you can monitor from afar with binoculars. • If NO, then the fawn is healthy and simply waiting for mom to return. Leave the fawn alone! Keep children and pets away. 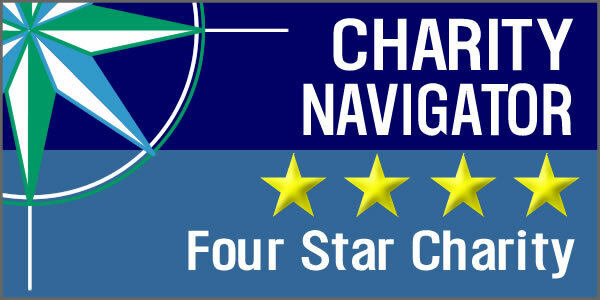 Monitor from a distance and reassess the situation in 24 hours. • Never chase a fawn to capture it. The stress of being chased can be dangerous to a fawn. Fawns are prone to a condition called capture myopathy, which is caused by chase and stress. Capture myopathy can lead to damage to internal organs, and even death. • Never give food or water to injured or orphaned wildlife. Inappropriate food or feeding technique can lead to sickness or death. Fawns in particular have very sensitive stomachs and require a special diet. Cow’s milk will make them sick. NOTE: Each animal's nutritional, housing, and handling requirements are very specific and must be met if they have any chance of survival. Raising a wild animal in captivity is illegal unless you have a state permit. For information on how you can become a permitted wildlife rehabilitator, contact the Wildlife Center of Virginia, the Virginia Department of Game and Inland Fisheries [PDF], or your state's wildlife agency.